First, your patients are always thankful for the fun event and it helps build rapport. Your existing patients become more loyal, you’ll see an increase in patient visits and also an increase in Referrals! Entails having food and fun activities, use your parking lot if large enough. Have a BBQ, invite the local police or fire (for child safety seat inspections, children safety cards or other great safety presentations), have someone aligning headlights, carnival activities, and best of all DUNK THE DOC! Get a dunk tank and that will be money WELL SPENT! Have your entire team there, massage chairs, massage therapist giving short 10 minute free massages. We encourage you to invite other neighboring businesses to participate as well. This helps make the event larger without increasing you work load AND can decrease the costs. Subway, Dentists, Tanning salons, Hair salons, gyms, restaurants and pretty much any other business is great to have participate. 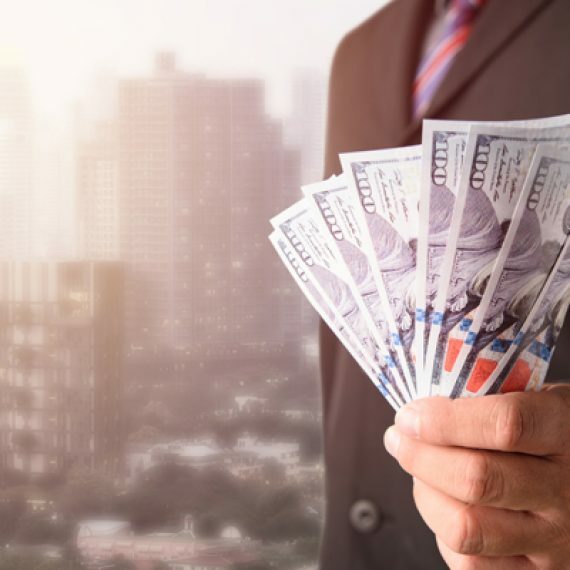 You can then market to their customers to come to the event while getting the business to offer some free or give away items as well. The bigger the better! 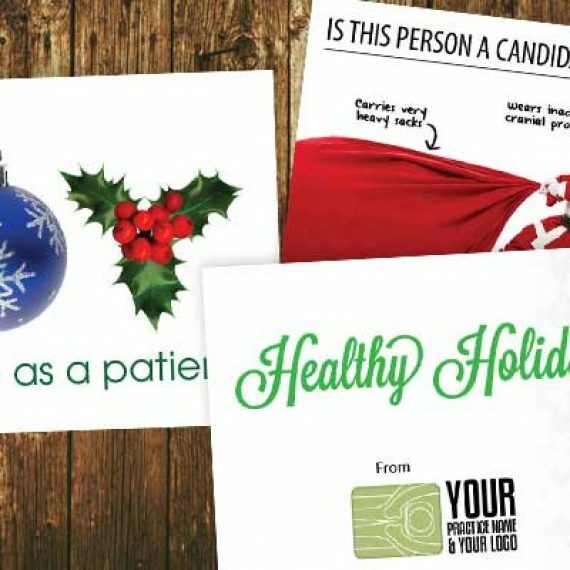 Be sure to send a postcard to invite your existing and inactive patients to the event. Also have fliers and handouts at the front desk. 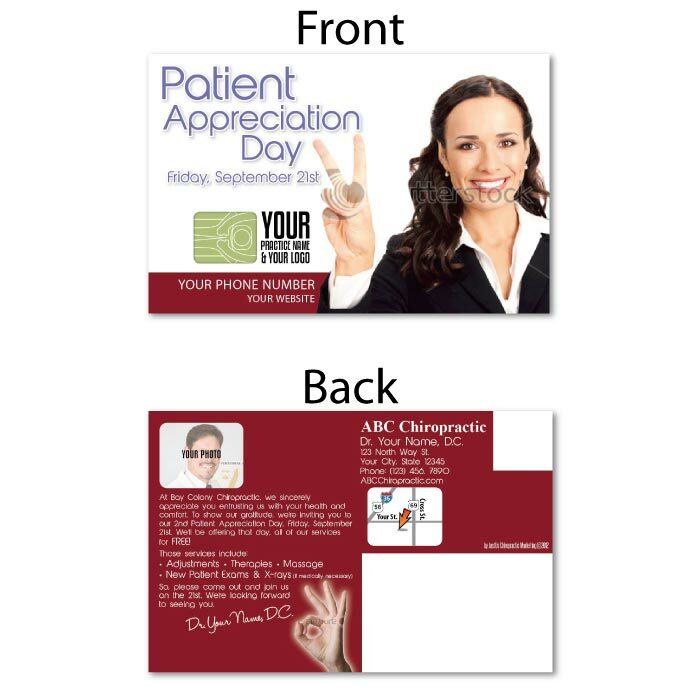 We offer patent appreciation chiropractic postcards you can design online for free (CLICK HERE) and others you can buy online in our online print store (HERE). 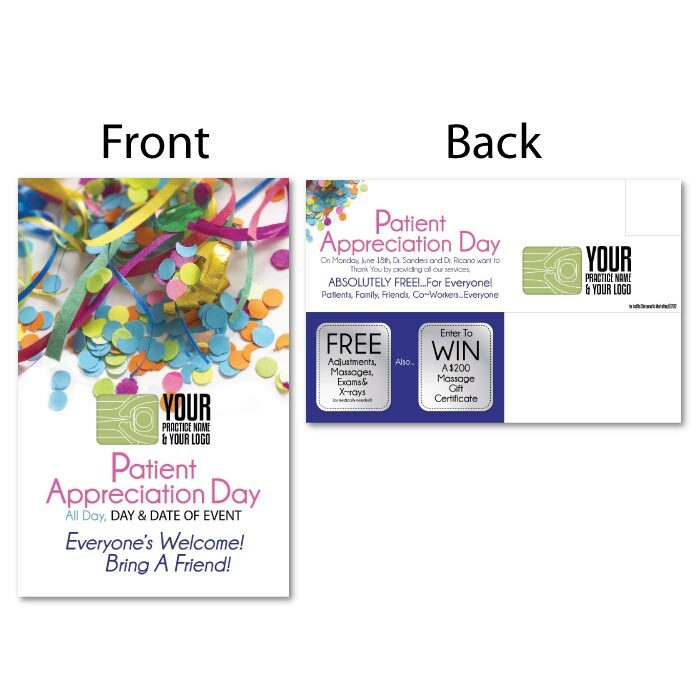 Our patient appreciation posters and referral booster can be found for purchase (HERE). If you desire a different look or a custom design, NO PROBLEM call 360-326-8896, email [email protected] or live chat and we can give you other ideas on a patient appreciation event as well as doing a custom design. 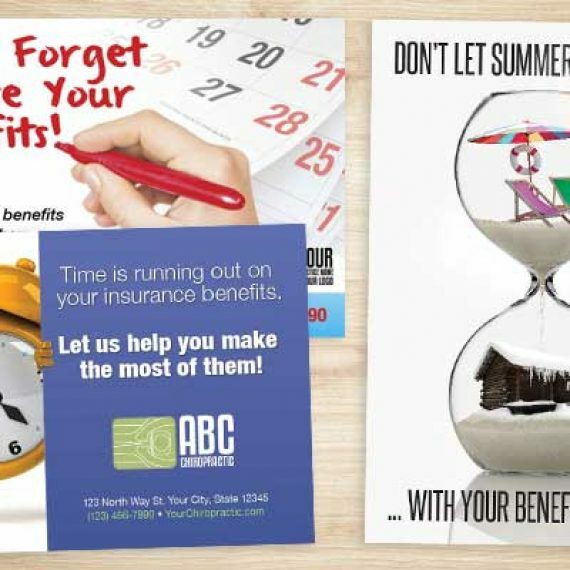 If you can get the mailing lists of other businesses we can make the design fit all the businesses involved and send out a postcard to the combined customer lists. In order to really make this a successful event, invite people who live or work around your practice! Change it from a patient appreciation event to a Community Appreciation event. Sending a simple neighborhood postcard will make it a awesome event. 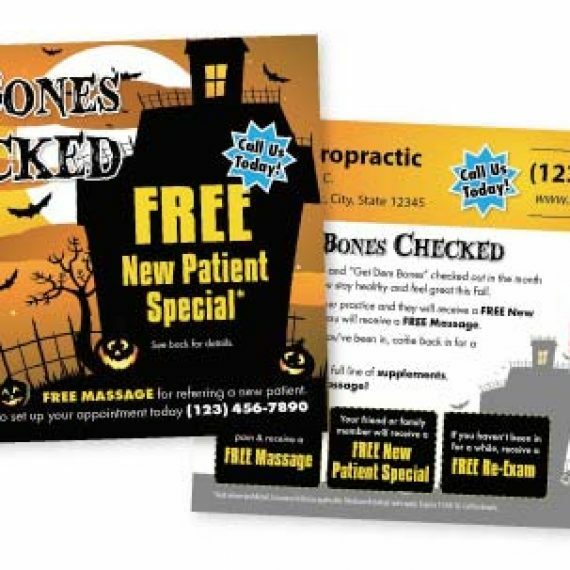 We can do an invitation postcard to 2500 people who live or work around your practice which includes custom design, printing, mailing list, addressing, AND POSTAGE, for only $1000! 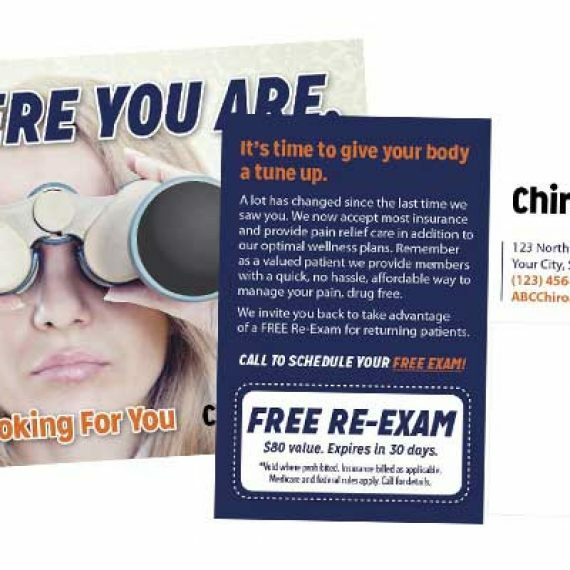 We typically see 30+ New patients come in from a combination of this type of event and the postcard mailing. You can offer buy one get one massage gift certificates, Free Screenings, and other services during the event. This all helps with retention, reactivation, referrals and new patients!